**** Chosen by Winner: James S.
Becker Knife & Tool knives has been at the forefront of hard use survival knives and tools since 1980. Chief designer and founder Ethan Becker, an avid outdoorsman since his youth, spent 25 years searching for the ideal "big knife" design. 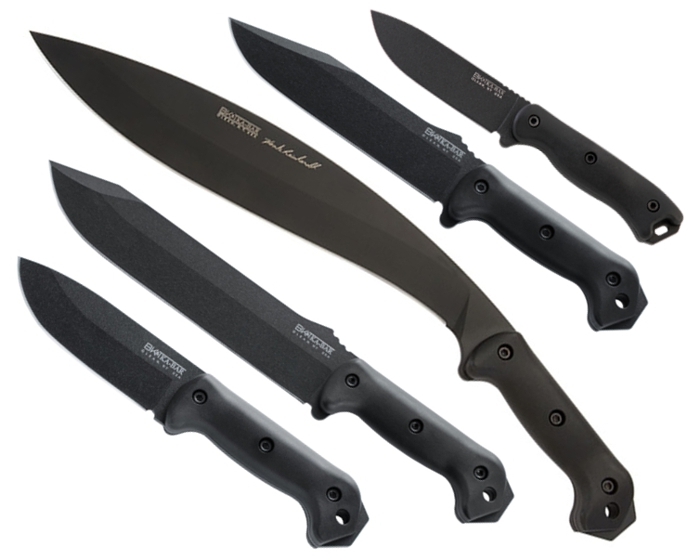 These knife designs use 1095 Cro-Van high carbon tool steel which has been specially selected to give clear superiority in edge-holding and toughness. The ergonomic, trademark handle scales of the BK& T knives are molded of Zytel, a glass filled thermoplastic polymer alloy for the ultimate in strength and durability. A rugged black powder coat blade coating is standard.